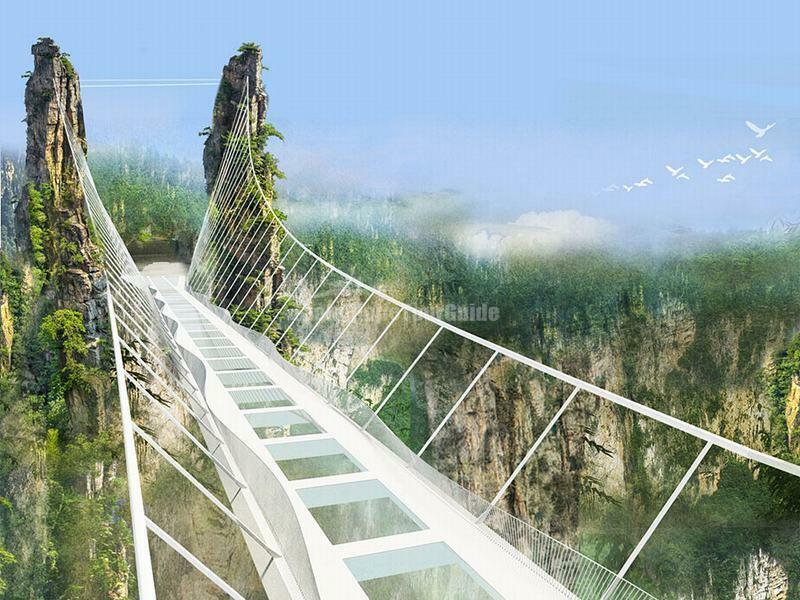 The Zhangjiajie Glass Bridge spans the Zhangjiajie Grand Canyon, making for some scenic and scary views. The bridge boasts of the tallest and longest span glass bridge in the world. Design scheme shows that the bridge is 430 meters length in total, 6 meters wide, and with a relative height of about 300 meters. The bridge deck all uses transparent glass. It takes the title of world's highest from Canada's Glacier Skywalk, which opened in Alberta in 2014, and is suspended at almost 300 meters. Designed by Israeli Haim Dotan Architects in 2012, the bridge is capable of holding 800 tourists at a time and provides unparalleled views of the Zhangjiajie National Forest Park - which was the inspiration for Avatar's planet Pandora. 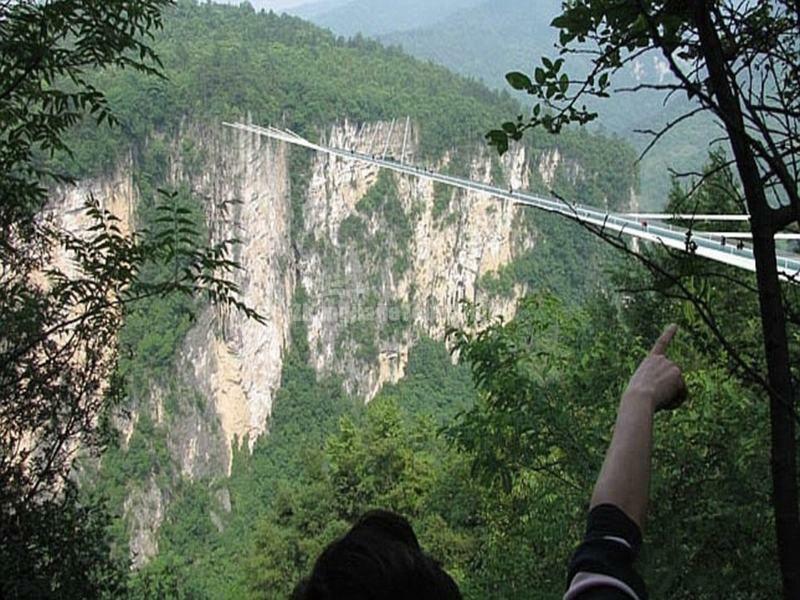 The bridge is much longer than the cantilever walkway in Longgang National Geological Park and the Grand Canyon Skywalk in the USA. 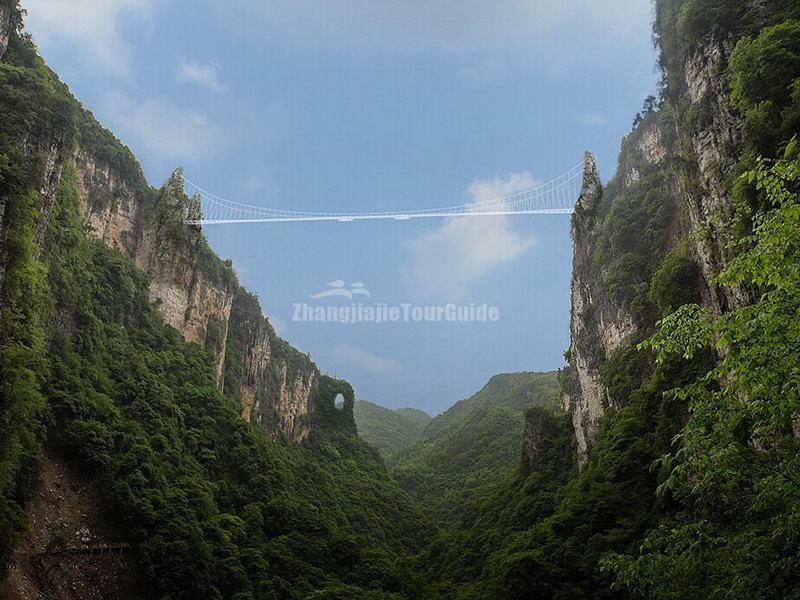 It also has the highest bungee jump point in the world. It is a super runway for fashion shows as well.